Mumbai Local Trains: Is the Western or Central Line Busier During Rush Hour? Mumbai’s local train system is perhaps the most complex, densely loaded, and intensely utilized rail system in the world. At least, that’s what the Mumbai Railway Vikas Corporation Ltd. suggested in its latest passenger survey. The Mumbai Railway Vikas Corporation (MRVC) is a subsidiary of the Ministry of Railways. Created in 1956, the MRVC is responsible for executing rail projects and improving rail infrastructure in Mumbai. As part of this effort, the MRVC commissioned Wilbur Smith Associates (a consultant for transport studies) to carry out passenger surveys and analysis. The reports from these surveys are published on the MRVC website. We dug into the latest MRVC survey data to answer some questions about the Mumbai local trains. What you should know about the rail network? What lines and stations are the busiest? Where you can expect the worst wait times and longest lines? Mumbai’s local trains are divided into three corridors — Western, Central, and Harbour. The Western Line includes the Virar-Dhanu Line, which extends the line farther north. The Harbour Line has two branches, the main Harbour Line and the Trans-Harbour Line. Together, these lines spread over 319 kilometers long. The Western Line runs the most services each day — a total of 1,201. The Central Line comes in second with 875 services per day, while the Harbour Line operates 787 daily services. The morning rush hour for most lines is 9-10 am. However, the Harbour Line bucks this trend with the most passengers onboard from 8-9 am. The evening rush hour occurs from 6-7 pm, except on the Central Line, which sees the most passengers from 8-9 pm. Like in the morning, the Western Line carries the most passengers during the evening rush hour. However, the peak stations shift southward — from Mumbai Central to Lower Parel, and from Bandra to Anderi. The Central Line stays mostly the same, though Dadar, Mulund, and Nahur are calmer in the evening than the morning. Meanwhile, Mumbai CST on the Harbour Line increases its traffic during the evening rush hour compared to the morning, though the Harbour Line’s evening traffic remains comparatively calm. Before passengers can even get on a train, they have to buy their ticket, which can be quite an ordeal according to MVRS’ data. Mumbai’s worst train station by queue length, Dadar West, had 54 people in line and a 30-minute wait at the time of the survey. Unused counters are one of the causes of these long wait times. Some stations had fewer than one third of counters in use, and a full 14 of CST’s 26 counters were unmanned at the time of the survey. While this data is fascinating, it was collected in 2013. That means that it is 3 years old at this point. With how quickly Mumbai can change, it is surely time to update the survey! What data would you like to see in future MRVC surveys? Drop us a note in the comments. Source: Mumbai Railway Vikas Corporation, Mumbai Suburban Rail Passenger Surveys and Analysis, 2013. 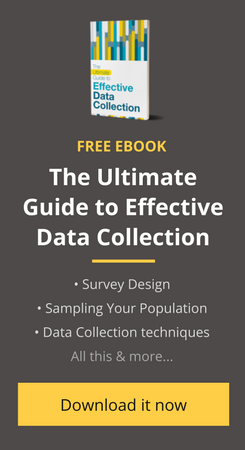 Collect your own data through our mobile data collection app, Collect! It’s been used by over 150 partners to capture over 20 million data points. Get started today! Central line service is getting worst day by day. Trains getting delayed frequently. Is there any plan to stabilize it. he the font of your website is very big . please work on it. i love your work.